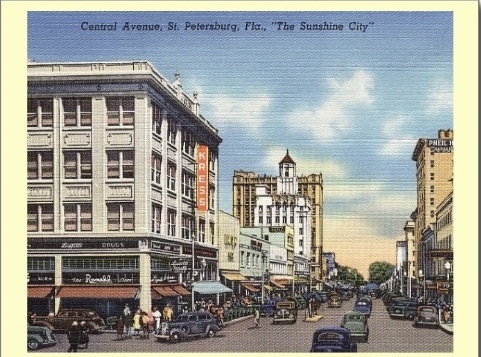 Looking east on the intersection of Central Ave. and 5th Street in Downtown St. Petersburg. In the foreground is the historic Kress Building and in the background on the left side of Central Ave. you can see the Snell Arcade building. Both buildings are still standing today.